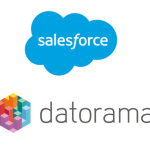 With this agreement, we are bringing together Salesforce’s #1 CRM platform with Krux’s category-leading data management platform (DMP), the Intelligent Marketing Hub™. 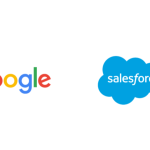 As a part of the Salesforce ecosystem, we’ve had the opportunity to work closely with the Salesforce team to create integrations that make our customers even more successful. Beyond the strategic and technology fit, we believe our companies’ core values, which include innovation, trust, transparency, and most importantly customer success, are in perfect alignment and offer an exciting foundation upon which we can continue building the industry’s smartest Marketing Cloud. We’re better together. 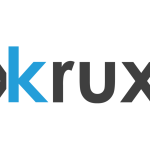 Krux will extend the Salesforce Marketing Cloud’s audience segmentation and targeting capabilities to power consumer marketing with even more precision, at scale. In addition, Krux will feed Salesforce Einstein with billions of new signals, enabling companies to be even smarter about their customers. Krux and Salesforce together will empower every company to deliver more relevant and valuable consumer experiences across every touchpoint. We’re trading gas for rocket fuel. Becoming part of Salesforce is great news for our current and future clients, our partner network and our employees. 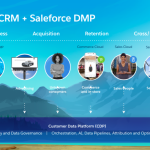 Being part of Salesforce gives us the opportunity to pursue our mission of driving more relevant and valuable consumer experiences by putting people data to work, with greater reach and impact than ever before. We will continue to deliver world-class enterprise data infrastructure and breakthrough business results for our clients. We’ll now be able to do so faster by leveraging the global reach and resources of Salesforce. Openness remains a guiding principal. We expect to continue supporting our thriving partner ecosystem and integrating with a wide variety of platforms. Both companies share a long-standing commitment to interoperability and broad, diverse partner networks. Onward and upward! We want to thank all of our employees, investors, partners and clients for helping us get to this exciting juncture. Vivek and I are thrilled to join a high-performing organization so uniquely committed to its vision and values, and we look forward to working closely our new Salesforce colleagues. We’re going to build something great together.